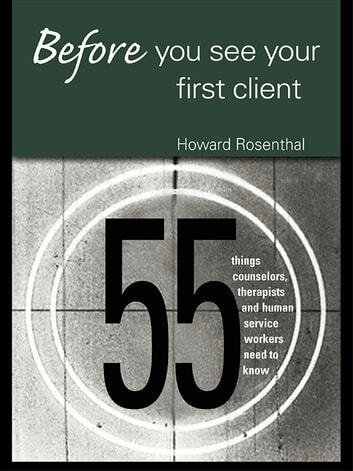 Before You See Your First Client begins where courses, workshops, training seminars, and textbooks leave off, providing a candid behind-the-scenes look at the fields of therapy, counseling and human services. 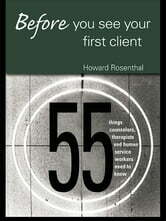 In a reader-friendly and accessible style, Dr. Howard Rosenthal offers his readers 55 useful and practical ideas for the implementation, improvement, and expansion of one's mental health practice. Based on the author's own personal experiences, the book is written in an intimate and personal style to which inexperienced and beginning therapists can easily relate.